"First in War, First in Peace, and..."
Steven (Chicagoland, United States) on 28 June 2010 in Documentary & Street and Portfolio. "...first in the hearts of his countrymen" was a phrase that Henry Lee stated as part of his eulogy at Washington's funeral in 1799. 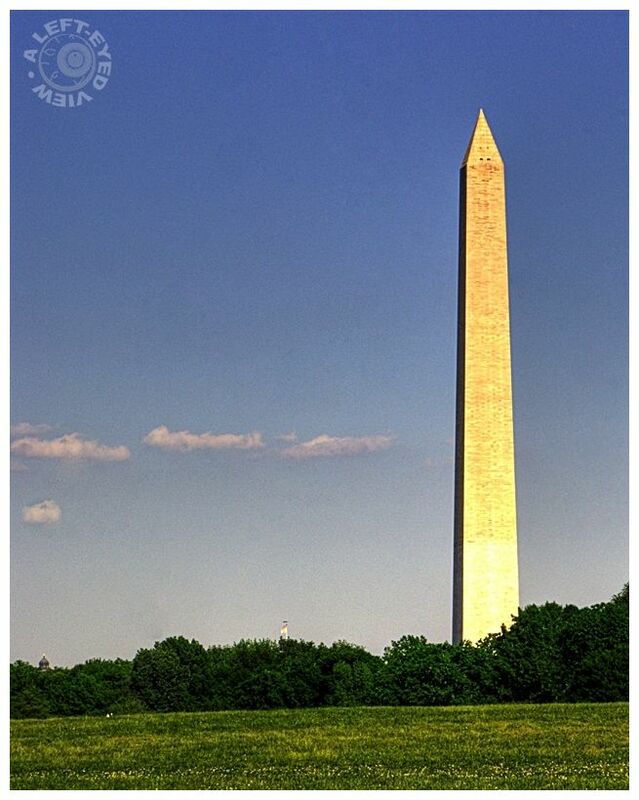 This is the second, and definitely not the last, time that Washington's obelisk has been featured in this Washington, DC series. While I always thought that the minimalistic style of his memorial didn't do him justice, the fact that the obelisk can be seen from all of Washington, DC seems to make up for it. The obelisk stands over 555 feet. 2. The walls of the monument are 15 feet thick at the bottom and 18 inches at the top. Photo captured from the nearby Vietnam War Memorial on May 5, 2010. Marvellous shot with flawless mastering of the verticals! Very good! Superb compositon and very good framing. Have a lovely day Steven. Fatnastic shot.. thanks for the history behind. Still makes a big statement . . an amazing focus. Love the amount of space you have given this obelisk and it's off centre placement. A beautiful and elegant image. Beautiful shot! Nice composition and color!Very interesting image! Superb!